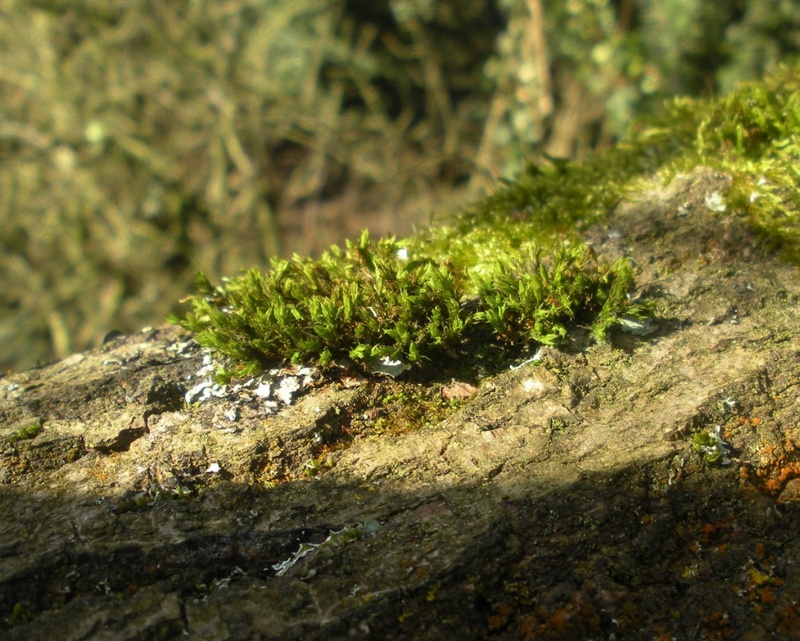 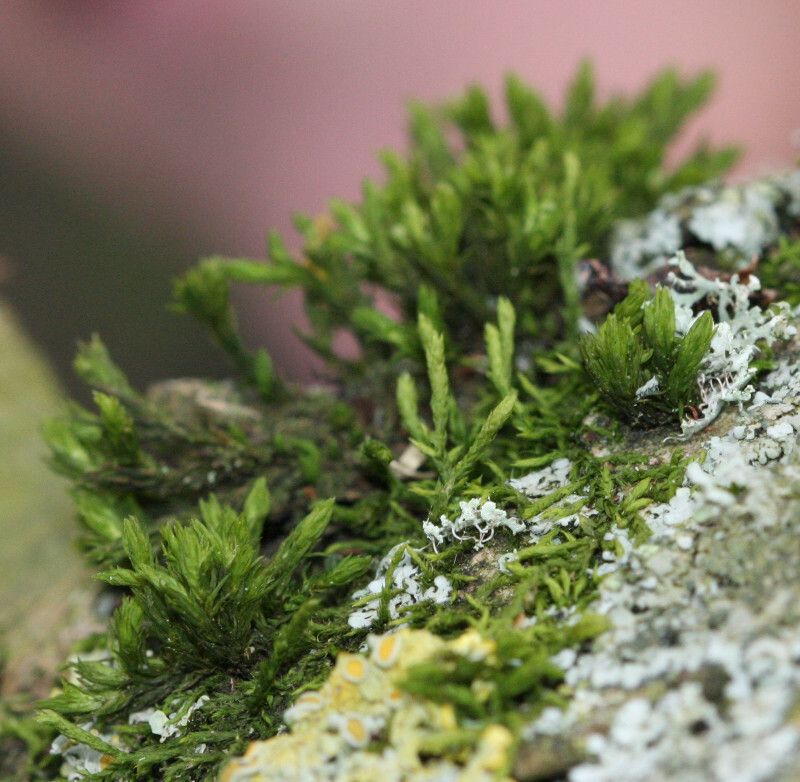 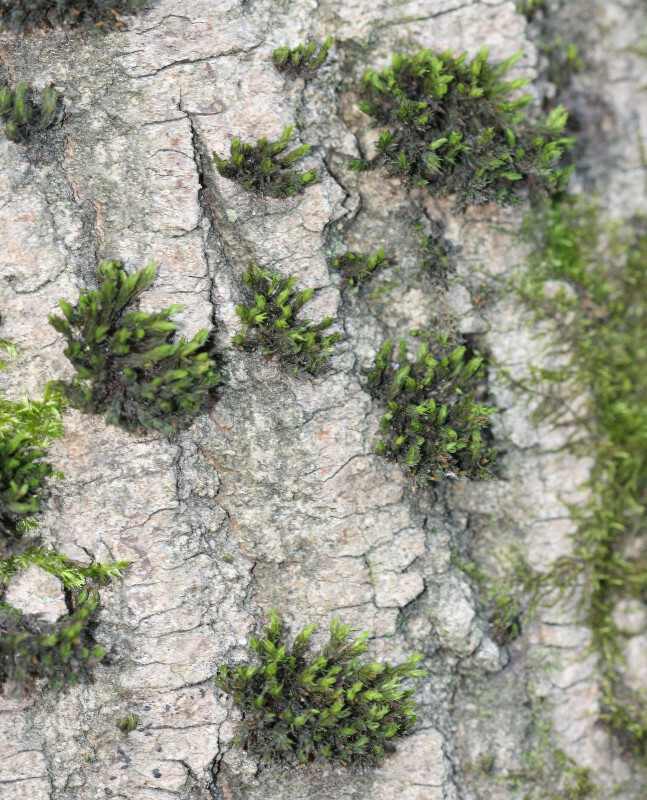 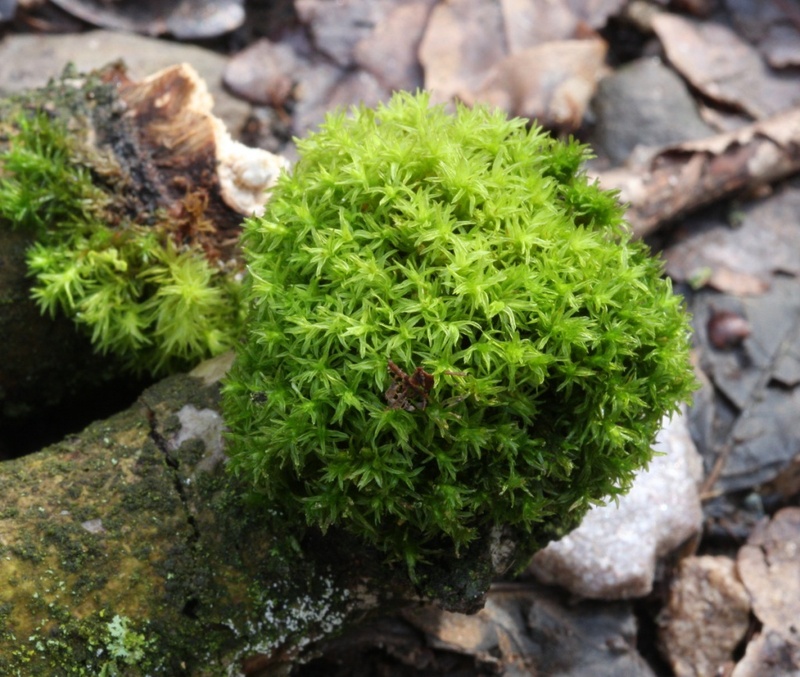 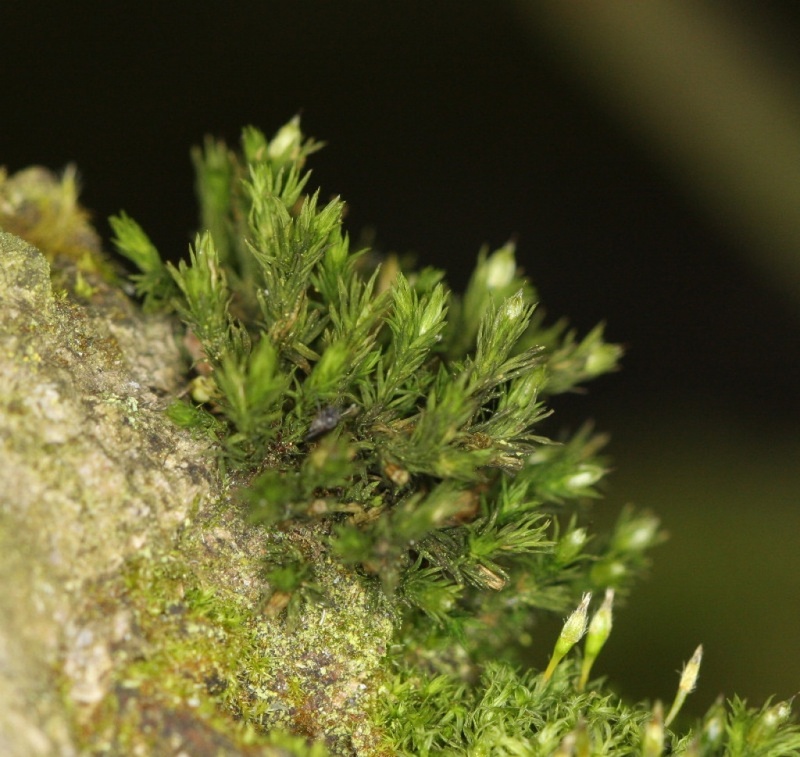 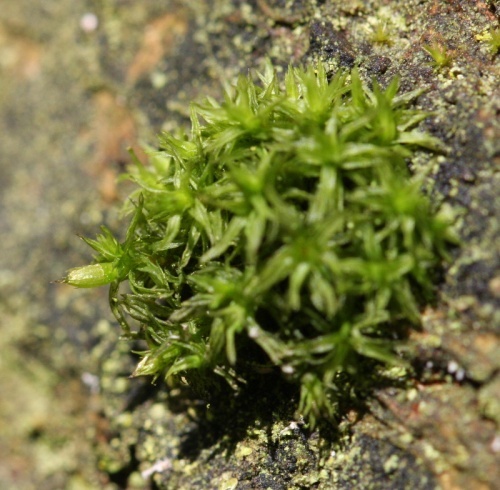 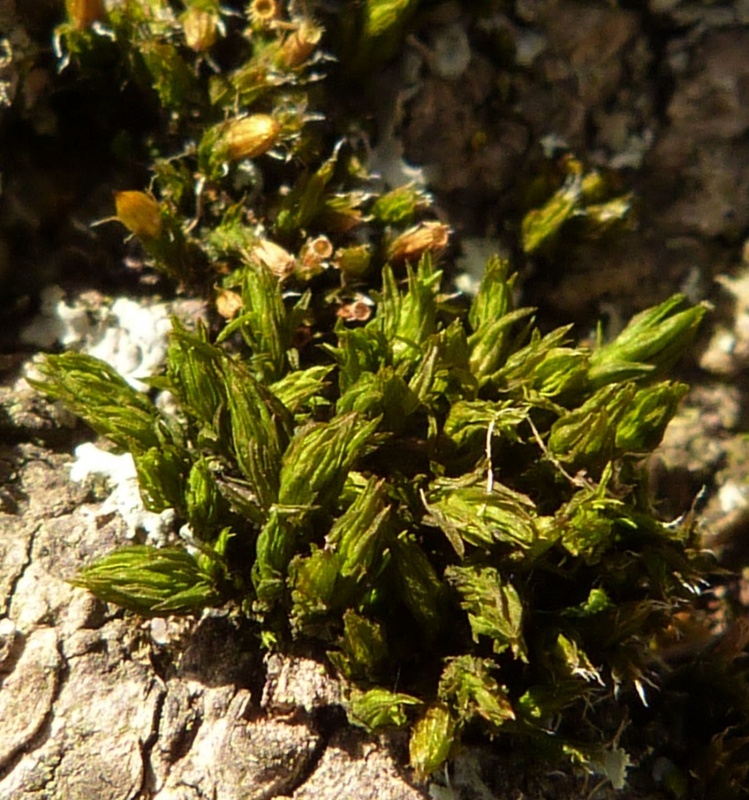 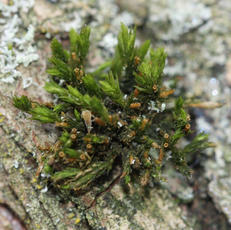 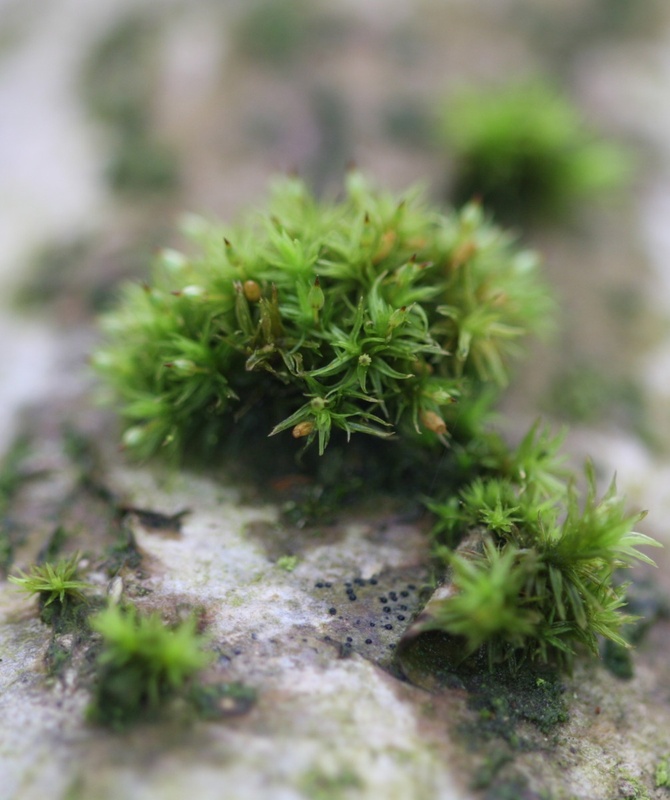 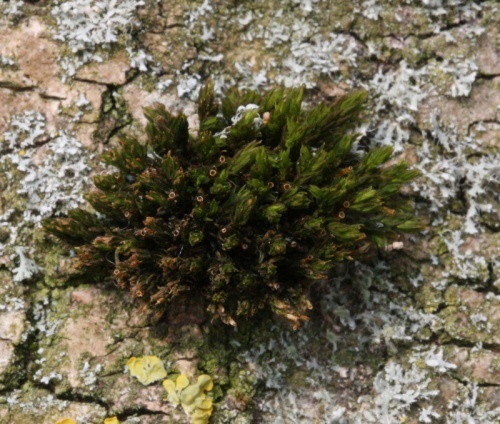 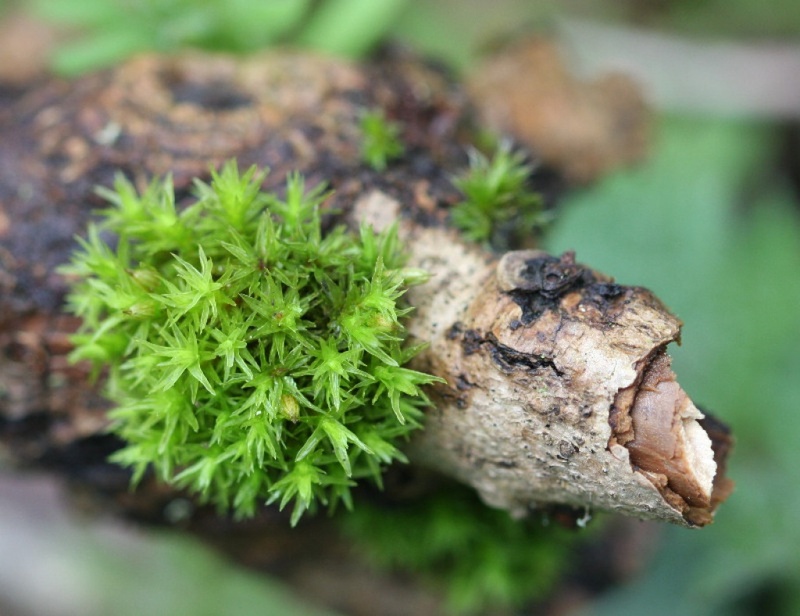 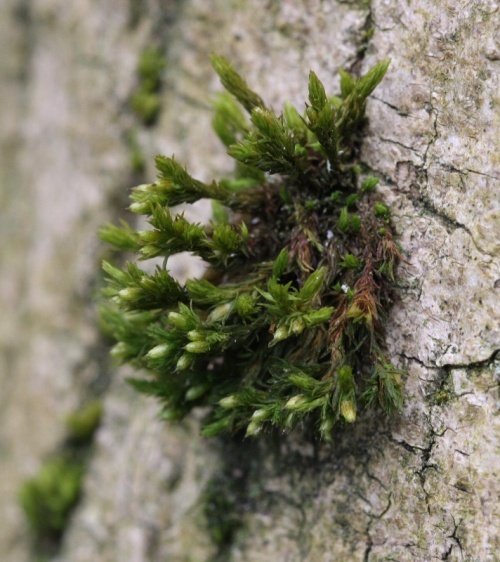 This moss forms loose, slightly branched, dull, mid-green or yellowish-green tufts from 1 to 3.5 cm tall. 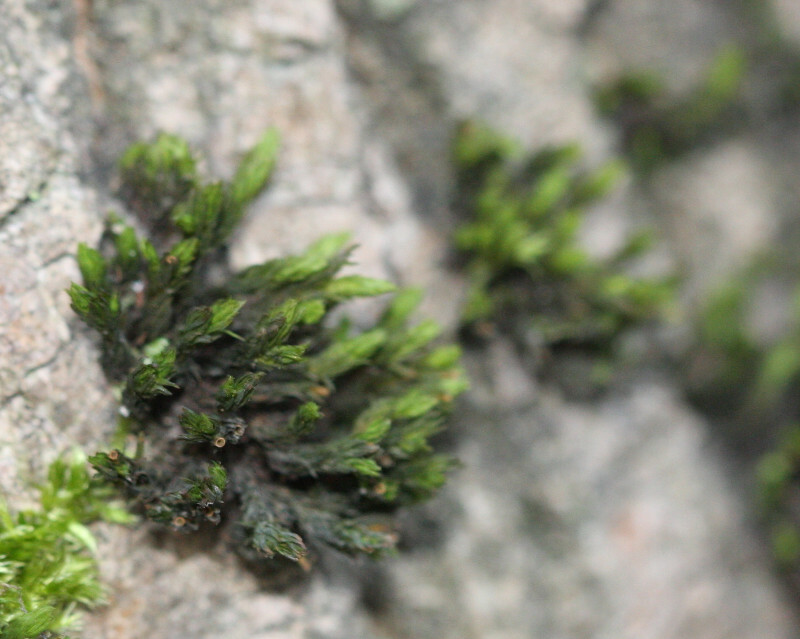 Individual leaves are about 3 mm long, have recurved margins, and end in an acute tip. Its abundant capsules can be found all year round: they ripen in summer, but old capsules persist into the winter. 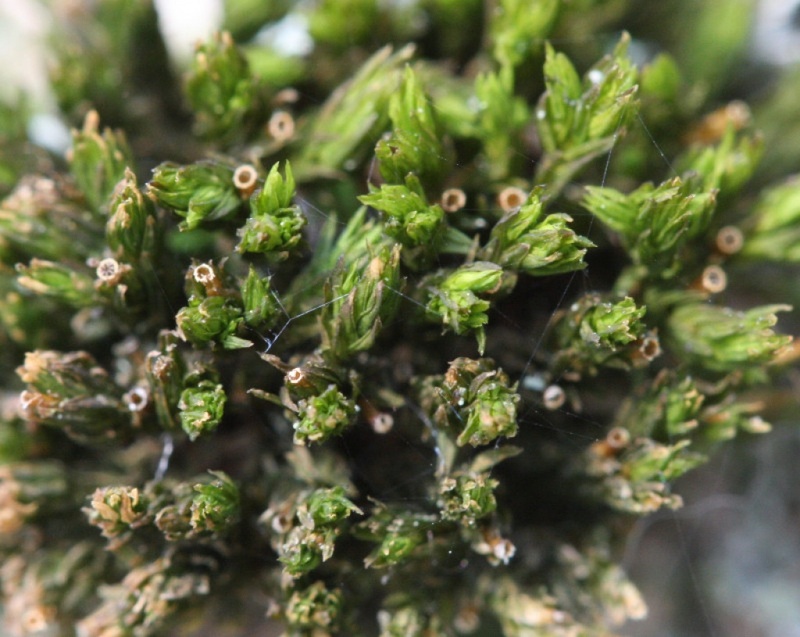 Unripe capsules are covered by a light green, slightly hairy hood like covering, which is often tipped pale brown. 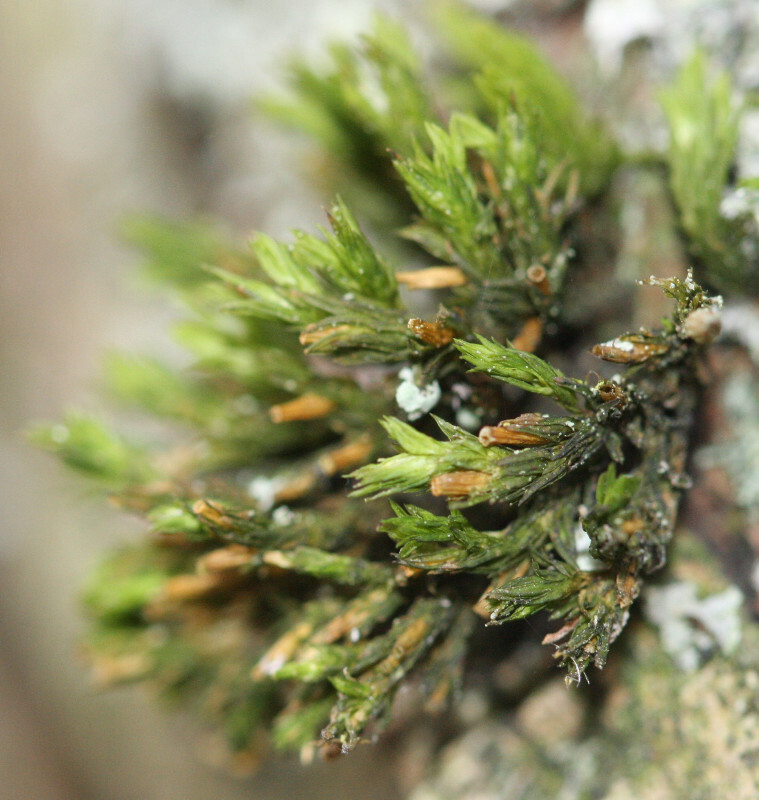 Old capsules are light brown, and strongly furrowed when dry with eight recurved teeth. On trees (particularly Ash) and shrubs in districts with clean air, but also found on rocks or concrete, especially in shady places.